July 3, 2014 July 7, 2014 Andrew Shaughnessy, M.A. 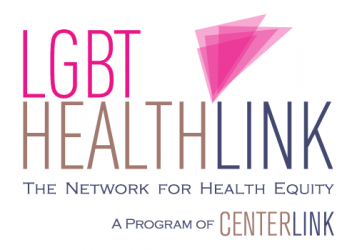 Building off of the successful strategy in sparking Missouri hospitals into reviewing their LGBT welcoming policies, Missouri LGBT health advocates knew the potential we had to maximize our engagement with area hospitals. In this installment of the Missouri Case study, we will provide health advocates a few tips that helped us to maximize our engagement with our target hospitals. After mailing the second letter, we waited roughly two weeks before we attempted to make contact with our targets. We followed up with two phone calls within a two week span to Assistants of the Senior-level officials, making sure to leave voice mails. You want to know if the Senior official had received the review letters, correct? Most of their mail would be combed by their Assistant, who would likely be able to confirm this. Assistants should be seen as the gatekeeper. In order for you to schedule meetings with, and even sometimes talk with your official, you will need to go through their Assistant. The more they get to know you the comfortable they will be giving you access. Following these simple tips will help you maximize your engagement with hospitals. From the beginning of our first outreach letter to this point took us roughly 60 days to complete. After finishing our follow-ups, we walked away having engaged 70% of our list in some way. 35% had confirmed that they were reviewing their current LGBT policies, and 25% confirmed they were actively trying to change their LGBT policies. In the next installment of the Missouri Case Study, we will discuss the nature of our conversations with Senior officials and tips for communicating effectively with them.